Hey lovelies! I feel like this year especially I'm more focussed on my blog and like that serious #GIRLBOSS 'I'm going to get this done' kind of motivation that I lacked a bit in 2017. Like a lot of bloggers, I'm determined to improve my blog even more this year, work with new companies, make great content, got to more PR Events and through this there are a bunch of different habits I realised I need to take up to make this happen. Usually I get overwhelmed with long 'strategy' or 'tutorial' articles telling me how to improve my blog, when to be honest your girl can't deal with all of that and wants a much more simplistic approach. Small, manageable little tasks that with a bit of time and dedication you can tick-off your To Do List easily. Hence this post! 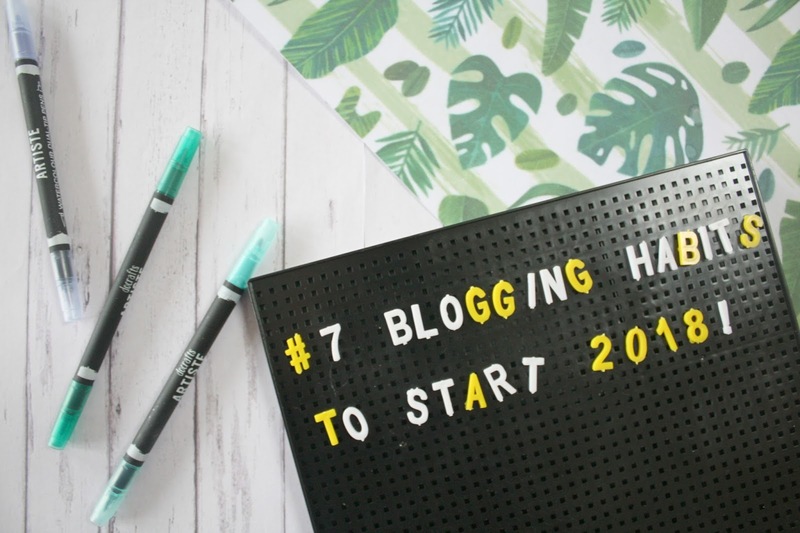 "7 Blogging Habits to take up in 2018," some of these you might already do, or some of them you might be slacking in, but if you're looking for small ways to take your blog to the next level, I hope you find this useful! I used to be so dedicated to this but by the end of 2017 I had completely fallen behind on replying to comments and although it didn't feel like it mattered much - this really is a good blogging habit to have. Not only does it boost engagement with your readers but it also gives you a sense of appreciation for all those comments that you never seem to get round to reading properly. From now on I've been taking one night a week to read through and reply to all my blog comments. None of those thrown-together 'oh sh*t I forgot to take ones for tomorrow's blog post' kind of photos! This is a bit of a tough one, since with winter lighting and a busy schedule it can be really hard to properly plan and set up your blog photos but it's a habit that will be so rewarding. 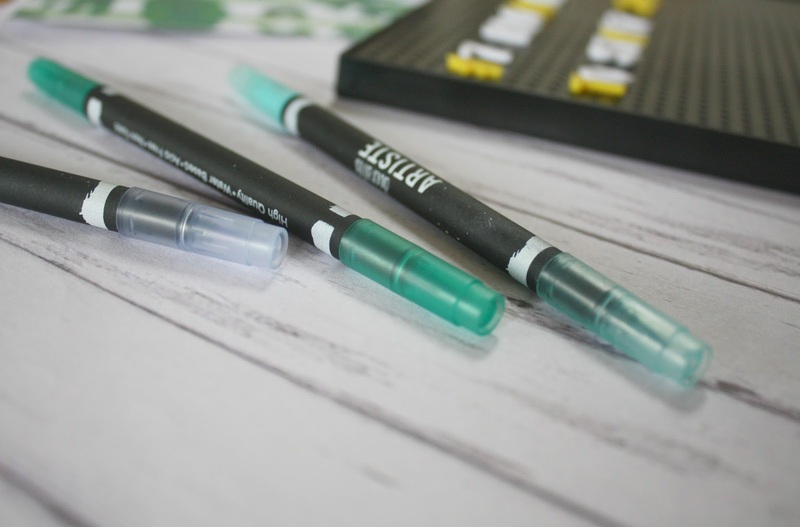 Having beautiful pictures on your blog is always something that will up your Blogging Game. Often I end up forgetting that even if I've worked really hard on my latest blog post, no one will read it simply if they don't know about it! Make sure to share your blog posts on social media throughout the week (my favourite being twitter because it's perfect for 'pinning' my newest posts to my profile!) and it's a sure way to get people reading. The blogging community is so large that one single blog post can often get completely lost unless you keep sharing it. Something I'm determined to master this year! Not saying you should swing to the side of 'clickbait' like on youtube, but think about what makes you want to click on a post and how you can do your post justice in it's title. Engaging post titles not only help with SEO but are just a great habit to keep up in 2018. It's a habit I pretty much stopped by the end of 2017, but this year I'm really trying to get back into it. Not for any reason of generating traffic to your own blog or leaving comments, but just reading other people's posts from the blogging community is the BEST thing for inspiration, motivation and just seeing what's relevant at the moment in case you lose sight of it. It's also really enjoyable and I can't believe I stopped reading my favourite blogs last year. I'm sure most bloggers do this already but putting labels or categorgies on your blog posts is the most helpful thing for people reading your blog. Take this post for example: I've put it under Lifestyle and my #BloggingChatter series so anyone reading right now could click any of the labels to read my other blog-tips related posts. Simples! Now this is if you really want to get ahead and organised but although I'm always forgetting to keep going with it, scheduling social media posts I've found is a great way to increase views to your blog. Being consistant on social media though is really time consuming though and draining to be honest, which is where apps like Hootsuite and Buffer (both free from the app store!) come into play. I cannot recommend them enough for blogging and you should definitely give them a go if you haven't already. To read my other #bloggingchatter and advice posts (some to do with blog photography, finding your aesthetic, or organisation) just click the links. Hope you've had a wonderful January and I will speak to you soon in a lil' extra post on Sunday! QOTD: HOW MANY OF THESE HABITS DO YOU ACTUALLY DO? Fantastic tips thank you so much to sharing. I already do some of these things but I’m always looking for improvement. These are some great tips! I'm still in my first year of blogging, so I'm taking all the tips I can get! Totally agree with all of these - definitely agree with number 6 as it makes it so easier to find posts about a specific subject you're looking for! What great habits to create! I'm on board with each and every one. Hope you have a wonderful 2018! I am really struggling with the photography! I think I may need to invest in a decent camera. I have saved this post for later! Loved this post as I definitely need to do these more!